As a coach, I have had the privilege of working with young people to achieve a common goal. I love every minute of it. I am passionate about football. I loved the game as a player and continue to love it as a coach. 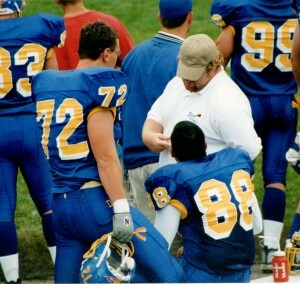 I started coaching after injuries ended my collegiate career and I stayed on as a student assistant coach. I had a blast so I decided to make it part of my career. 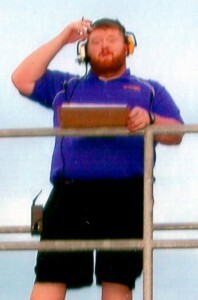 As a result I have been a head coach and coordinated all three phases of the game at various levels. My vision for this site is to develop a resource on the intricacies of option football. I will discuss other topics, however, most of my articles and blog posts will be from an option perspective. Hopefully, the pages found at OptionFootball.net will serve as a resource for all who love option football. If you want to install an option offense and run it in your program I hope there is something here for you that will aid in your efforts. It doesn’t matter if you coach Pop Warner, college ball, or anything in between. This is a place of education and growth. I also hope this will be an interesting and enjoyable resource for fans of the option and the teams that run it. As the site develops, I want to build a comprehensive resource for option football coaches and fans that brings the information to one place and compliments the material already available. Please take a look around, interact, and collaborate. Lets build a community that is inclusive of all who enjoy the game and have any interest in option football. To understand my expectations in this regard, please read my Comment Policy. If you have any questions, comments, or tips for improving the site please feel free to contact me. 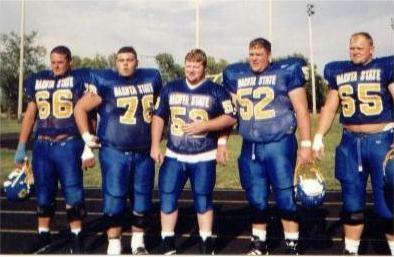 I played on the offensive line in college and developed an appreciation for the intricacies of the game. Assisting after my playing career ended prematurely. During this time, I was able to further my understanding of the game and developed a love for coaching.